Combination of portable charger and longlife torch, the battery capacity is 2200mAh. To put that in context the average smartphone is 1800mAh. 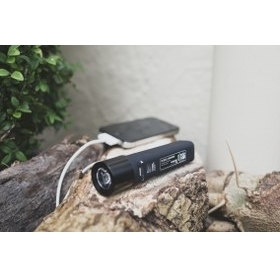 The Torch is compact and portable with a robust metal and rubberised housing this will provide charge for90% of popular mobiles phones, MP3 and MP4 players, iPhones and iPods. It comes with a USB to MicroUSB charging cable, you can also use the USB cable that comes with your devices. 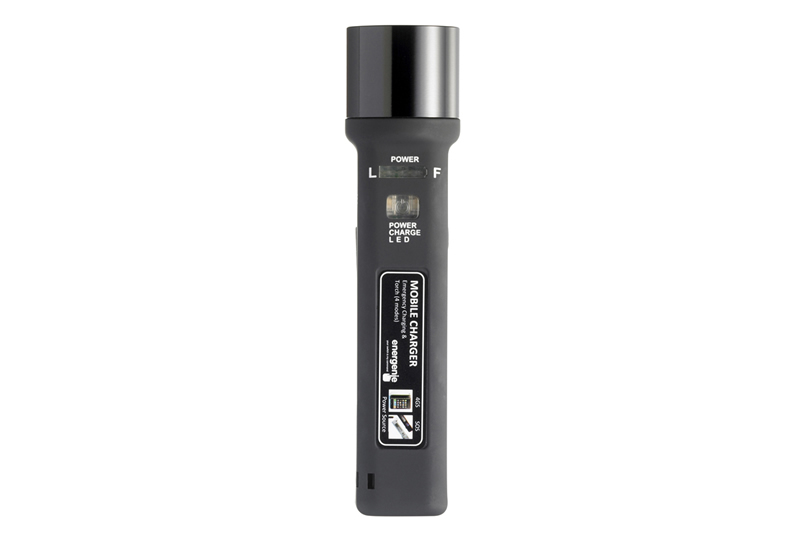 1W Torch, super bright white LED technology with 4 modes operated by smartbutton control. Accurate 4 stage battery power indicator. p/ Charges via mini USB interface. 40cm USB to MicroUSB cable. The product can also be used with iPhone and iPod USB cables but these are not supplied. Lithium ion battery. RoHS compliant br / Approvals: LVD, EMC and R TTE br / Directives. CE marked.